President Trump took to Twitter late Sunday night to announce that he had spoken with South Korean President Moon Jae-in. Mr. Trump wrote: "Just completed call with President Moon of South Korea. Very happy and impressed with 15-0 United Nations vote on North Korea sanctions." The tweet came a day after the United Nations Security Council endorsed new sanctions on North Korea over Pyongyang's recent tests of an intercontinental ballistic missile (ICBM). The White House issued a statement to CBS News saying in part that the two leaders are "committed" to the sanctions and urge the international community to follow suit. "The two leaders affirmed that North Korea poses a grave and growing direct threat to the United States, South Korea, and Japan, as well as to most countries around the world," the statement read. "The leaders committed to fully implement all relevant resolutions and to urge the international community to do so as well." Meanwhile, a welcome boost came Sunday from China, the North's economic lifeline, as Beijing called on its neighbor to halt its missile and nuclear tests. For the U.S., it was a long-awaited sign of progress for Mr. Trump's strategy of trying to enlist Beijing's help to squeeze North Korea diplomatically and economically. Chinese Foreign Minister Wang Yi, meeting with North Korea's top diplomat during the gathering in Manila, urged the North to "maintain calm" despite the U.N. vote. "Do not violate the U.N.'s decision or provoke international society's goodwill by conducting missile launching or nuclear tests," Wang said, in an unusually direct admonition. Tillerson didn't meet with North Korea's envoy, Ri Yong Ho. In fact, on his first day in Manila, Tillerson appeared to go out of his way to avoid crossing paths with Ri. In remarks to reporters Monday morning, Tillerson said the best signal North Korea could give that it was prepared for negotiations with the U.S. would be to halt its missile launches. Tillerson, in his most specific outline to date of what preconditions the U.S. had for talks with Pyongyang, said stopping the launches would be the "first and strongest signal." But he also said it was not as simple as North Korea stopping launches for a few days or weeks. He wouldn't give a concrete time frame but said the U.S. would "know it when we see it." The U.S. has "other means of communication" open to North Korea if the country wants to express to the U.S. a desire to talk, Tillerson said, but didn't offer specifics. Though Beijing repeated its call for Washington and Pyongyang to resume talks, the U.S. said that was still premature, and rejected yet again a Chinese call for the U.S. to freeze joint military exercises with South Korea in exchange for the North halting nuclear development. Pyongyang views the military exercises as rehearsals for an invasion. Would Tillerson interact with his North Korean counterpart, even informally, if they crossed paths in Manila? It was a question driving the hallway chatter at the gathering, but the U.S. shot down that prospect and said Tillerson had no plans to interact with Ri. Tillerson, who was scheduled to attend a gala dinner Sunday, skipped it. Ri did not. The North Korean was spotted at the gala smiling and toasting with the other foreign ministers. Tillerson aide R.C. Hammond said that after a productive first day, Tillerson spent several hours preparing for Day 2. Instead, the U.S. was represented at the dinner by Thornton, whose official title is acting assistant secretary of State for East Asia and Pacific Affairs. But Wang, the Chinese envoy, cast Ri's presence in Manila as a positive, enabling him to "hear the voices from other sides." Speaking in Chinese, Wang said that Ri "also has the right to share his opinions." Ri hasn't spoken publicly since arriving in the Philippines. 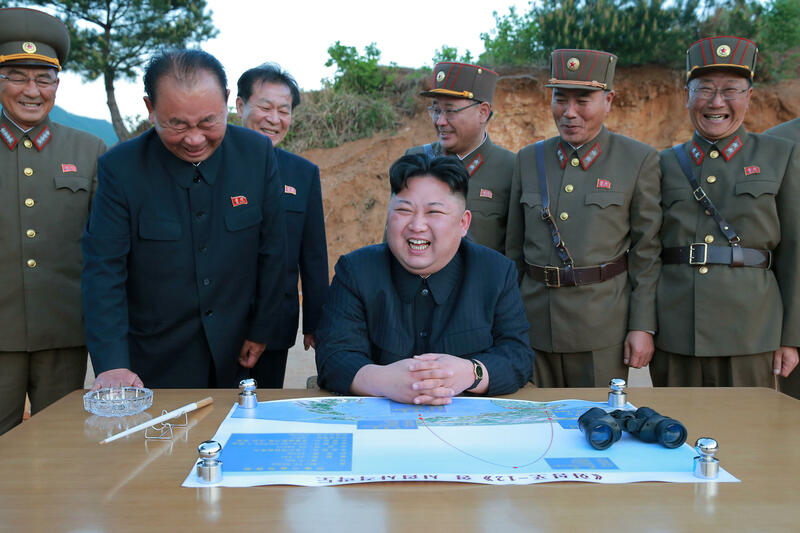 But a commentary in the ruling party's Rodong Sinmun newspaper said Washington had disregarded the warning the North sent with its intercontinental ballistic missile tests and was pursuing "desperate efforts" in the form of stepped-up sanctions.